Shew! You've made it to the homestretch of your pregnancy. It's time to make sure you're prepared for the big arrival. Including everything from baby-proofing your home to writing a birth plan, check out your list of to-dos to make way for baby. A childbirth education class mentally and physically prepares you for the delivery process and allows your partner to be involved. Classes can range from a one-day intensive workshop to a series of weekly classes. The typical class combines lectures and techniques from a trained birthing instructor. Childbirth education classes are typically offered at hospitals, birth centers, doctor's offices, or private homes. 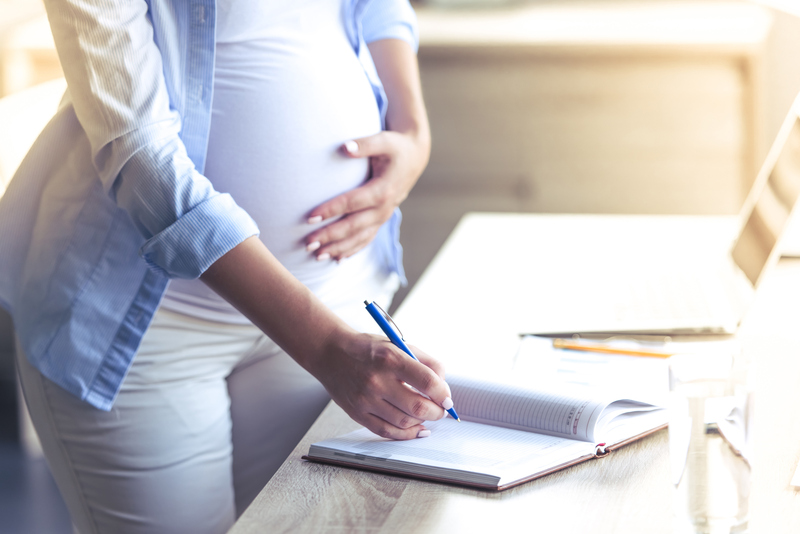 For figuring out what type of class is right for you, see Choosing a Childbirth Class: Everything You Need to Consider. Start packing a week or two before your expected due date to give yourself enough time (because babies sometimes come on their time instead of yours). Below are some of our suggestions. For more, visit Essential Items For Your Hospital Bag: The Complete Checklist. Dressing Gown/Bath Robe - You'll need something to walk around in and easily slip on and off. Several changes of comfortable clothes - Make sure you have lots of extra underwear. Extra Absorbent Pads - You will definitely need these after delivery. Slippers - So you can easily get up and go to the bathroom and walk around. Socks - The last thing you want is cold feet! Makeup- You'll be so thankful to have a little blush and lipstick when everyone's snapping photos of the big moment. Also be sure to include some chap sticks because hospitals are very dry. Hair Ties/Brush - Things are going to get sweaty and gross. Toiletries - Make sure your kit includes a toothbrush, deodorant, facial wipes, and body lotion. Snacks/Drinks - You're going to be hungry and thirsty so pack some healthy options. Phone/Charger - To ensure you have a lifeline to the outside world. Extra Pillows - During this uncomfortable time, you'll be thankful for any extra support. Headphones/Computer - In case you find yourself playing the waiting game and in need of a music or movie pick me up. Tube Sock and Tennis Balls - This helps relieve back pain. Make sure you already have a car seat installed in your car (and make sure you both know how to use it). That's definitely not worth your first fight! If you have children that are not coming to the hospital with you make sure you've lined up care for them. Have animals? Have a neighbor keep an eye on them while you're gone. You want to be worry free during this transition! A birth plan is a way for you to communicate your wishes to those who care for you in labour. It tells them about the type of labour and birth you'd like to have, what you want to happen, and what you want to avoid. It can include positions for labor and birth, instructions to relay to your partner, what kind of pain relief you'd like to use, any equipment you would like to use, and any other special needs or requests you have. Make sure baby is playing with toys that are larger than their mouth to prevent choking. Make sure all cleaning supplies, medicines, and any other harmful substances are safely stored on a high shelf. Make sure your TV's and furniture are securely tied down. Secure toilet lids with a lid lock. Keep your baby safe from electrical hazards by keeping any loose rods fastened against the wall. Make sure baby's crib rails are secure. Use baby gates to prevent baby from going into rooms you don't want them to go in. Make sure to safeguard areas around pools and hot tubs. Unplug all appliances after you use them. Get down on your hands and news and explore your house from a child's point of view. This may seem strange but you don't want to miss ANY possible safety hazards. Since you'll have your hands full once the baby arrives you are going to need extra assistance with your little ones during that first year. Plan ahead and ask family and friends about their availability and line up several good babysitters. If a parent offers to move in and live near by, by all means let them. You'll want to make sure you still have time for date nights and alone time with your partner during that first year. Do you have enough diapers? The answer is no. You can never have enough. Make sure you have borrowed or bought all your basic baby gear. Make sure all clothes and linens are washed and ready to go. Have your partner help you with assembling all baby gear including, cribs, strollers, car seats, etc. If anything needs batteries, have extra. You want everything ready to go! If you are going to breastfeed, make sure you have researched as much as you can. Talk to other moms, read books, and even see if there is a breastfeeding class in your area. Does pregnancy have you feeling stressed? Follow our Relax Pinterest board!